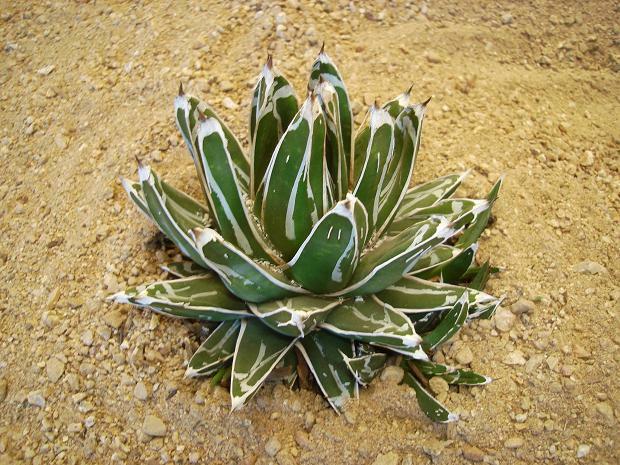 All of the Queen Victoria agaves are slow in growth habit and this compact form is even slower with its’ petite size. Why would anyone grow a species that takes this long that is ugly? This is arguably the most beautiful of them all with intense white markings. I have some specimens of this clone that have been with me for over 25 years and they are still getting better looking as they age. How rare is that? 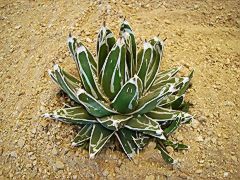 Most plants are like me and they don’t improve with age. Wiser maybe, but definitely not better looking. If you select just one Queen Victoria this is an excellent choice. Of course we would be delighted if you buy one of each clone we offer…. Just a thought.